My original photographic art works are produced in limited editions of a minimum of 3 to a maximum of 25 per image. There are also a few unique artist proofs. The prints vary in size from 5' x 7' to 22" square or more. Prices range from $150 for small framed photographic giclée prints to $700 for large chromogenic prints. Most are within $200 to $450. All images are matted and framed with archival materials. 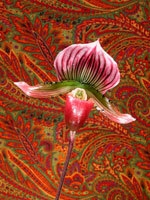 Chromogenic Metallic photographs are available as mounted and over-matted prints without a frame. Giclée photographic prints are also available matted without the frame. These options are available by contacting me through e-mail correspondence or purchased through the Metamorphosis Art Gallery in Patagonia, Arizona. More of my photographs may be seen on line at the Metamorphosis Art Gallery site. Please contact me via e-mail, m.s.murray@charter.net for specific information or questions you may have.